Where is the Spring Parade of Homes? The Spring Parade of Homes is a scattered-site tour throughout the Fargo-Moorhead metro area. It also includes Horace, Mapleton and Oxbow. What are the hours and dates? The Spring Parade of Homes will be three weekends: May 4-5, 11-12 and 18-19. Homes are open noon - 5 p.m.
What are the best ways to learn about all of the home entries on the Parade? You've got some great tools at your fingertips! Spring Parade of Homes magazine - The event's magazine will be available starting April 29 at all Hornbacher's stores in the Fargo-Moorhead area. It includes a fold-out map showing all Parade entries at a glance. Digital Options - Through our mobile app and website, you can browse information on each home, see the maps, plan your route and get digital tickets. The mobile app is available through the App Store and Google Play: search "Parade FM." Is there an admission charge to view the homes? Admission is free to most homes: register to tour the free homes through the mobile app or Parade website. The cost is $5 to tour the three Luxurious Featured Homes. Purchase tickets at the featured homes themselves, through the mobile app or on this website. How do I register for the free admission ticket? Simply register to attend the event at www.paradefm.com or through the mobile app, print out your ticket with a QR code, or have it available on your mobile device, when you enter the homes. Why do I need to register for the free admission ticket? 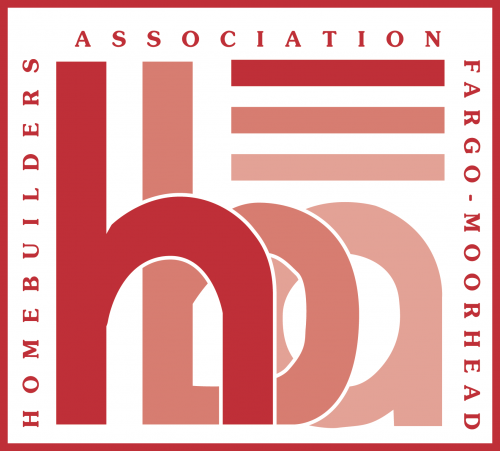 Our ticketing process brings the Home Builders Association of Fargo-Moorhead and Parade into the 21st Century and allows the HBA of F-M to better-manage the event, resulting in an overall better experience for you! What qualifies an entry to be a "Luxurious Featured Home?" Luxurious Featured Homes must be a first-time entry priced $750,000 and higher. Members volunteer their entries in a fundraising effort to support their industry, Association and charity: Home Builders Care of F-M Foundation. The cost is $5 to tour three Luxurious Featured Homes: Entry numbers are 30 by Luxury Custom Homes, 67 by Designer Homes of Fargo-Moorhead, and 68 by Dietrich Homes. Tickets are available through the Parade website or app. Since 2003, the Parade of Homes’ featured homes have raised nearly $170,000 for Home Builders Care of F-M Foundation which supports scholarships and projects related to housing like Habitat for Humanity and construction of handicap-accessible ramps. Click here for more details on Home Builders Care Foundation. How do I purchase the $5 ticket to view the three Luxurious Featured Homes? Purchase your ticket at www.paradefm.com or through the mobile app. Print out your ticket with a QR code, or have it available on your mobile device, when you enter the homes. This ticket will cover your entrance to all three Luxurious Featured Homes, plus all free homes. Do I need two tickets: one to enter the free homes, and one to enter the Luxurious Featured Homes? No. If you wish to visit the Luxurious Featured Homes, that ticket will grant access to all other homes on the Parade. What is Home Builders Care of F-M Foundation, and why are you raising funds for it by charging admission to the Luxurious Featured Homes? Is there a charge to park, or are there any parking rules? Free parking is available on city streets. Please obey parking laws. Do not park in the driveways of Parade or Tour homes or block driveways of occupied homes. Can I take photos of the homes on the Parade? Ask permission to take photos. In this age of social media and digital phones, it’s tempting to snap a photo of anything that interests you. Please ask the builder or Realtor working the home for permission first. And remember, that floor plans and unique home layouts can present a copyright concern. Can I wear my shoes into the homes on the Parade? Out of respect for the homes' future owners, please wear socks and remove your shoes when you tour Parade homes. Some Builders and contractors may provide shoe covers.